Do Your Research – Is Buying a Home in Your Best Interest? If you’ve been in the market to buy a home, it’s time you do your research. Our mortgage brokers are here to help you every step of the way when it comes time for you to buy your first home, and we can’t wait until that day comes. But before you purchase your first home, there are a few facts in which you should be aware. When you buy a home, it’s going to cost you some money. This is one of the main reasons there are many individuals who choose to forego ever owning a home. It can be expensive, and you need to have a steady income to back your ability to purchase the home of your dreams. Do you have all of that? Great! Let’s get started. Did you know that “in the third quarter, homebuyers could expect to spend 15 percent of their monthly income on a mortgage payment for a typical home, while renters could expect to spend 30 percent of their income renting a median-valued home?” According to Zillow.com, this is true. This only poses one question, why haven’t you purchased a home yet? Many renters believe renting a home is cheaper than buying one. And while that may be true for a short period a time, if you’re planning on living in the same area for years on end, it’ll be more beneficial for you to take charge with our mortgage brokers to see if buying a home is in your best interest. Not only will you have a place to call your own, but you’ll be able to save money in the long run. 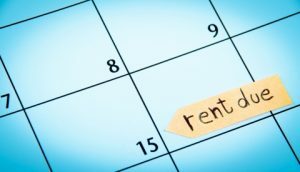 After all, “renters could expect to spend 30 percent of their income renting a median-valued home!” If you can avoid that at all costs, you should. Learn More About Our Mortgage Brokers Online Now!